Sheridan Dental strives for smooth, result-focused root canals with each patient. Though root canals are often a dreaded facet of dentistry, it is actually a procedure dedicated to saving a tooth! A root canal is the last resort to retain an abscessed or infected tooth, which involves the removal of your tooth’s diseased pulp. The hollowed out tooth is then cleaned, filled, and sealed. Root canals are most frequently associated with poor dental hygiene, but this is only one explanation for the procedure. Tooth fracture – A tooth may become fractured by actions such as jaw grinding, eating hard food, and chewing on ice. 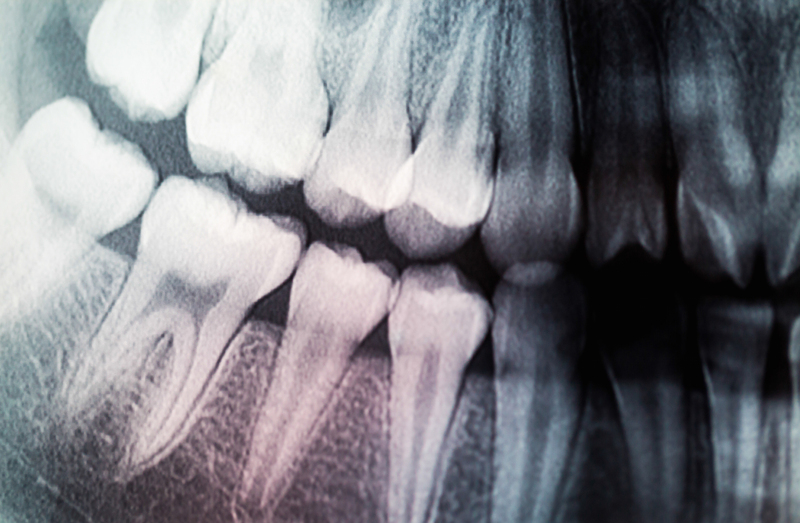 After sustaining damage, the tooth fractures allow bacteria to enter the pulp chamber, inflaming the nerve. Tooth sensitivity is noticeable. Tooth decay – Advanced tooth decay makes the tooth’s pulp vulnerable to bacterial infection. This is called an abscess. An abscess is often painful, but the nerve can die slowly, so symptoms may not reveal themselves. An arising abscess can be detected in x-rays during a routine exam. Trauma – A blow to the mouth may cause your tooth to develop infection. The nerve can die over time. Dr. Raymond Sheridan needs to access the interior of your tooth to complete a root canal, so an access hole must be drilled. Then, pulp, decayed nerve tissue, bacteria, and related debris will be removed from your tooth. The remaining tooth will be scraped and scrubbed. The access hole will then be sealed. If severe infection exists, you may have to wait a few days for healing before your tooth is sealed. If this is the case, a temporary sealant will be placed on your affected tooth to keep food and bacteria from further contaminating it. The permanent filling will prevent decay and bacteria from entering the tooth. It will also help preserve and protect your tooth. Contact Sheridan Dental today to schedule your initial root canal appointment. Our consultations are always free and you can be confident in our skills and persistence.